Summer wild berries are especially attractive during the cold season. Unfortunately, now we can not go stroll in the summer forest and collect a full bag of mushrooms and Wolverine. Nevertheless, we can draw all these beautiful summer things. 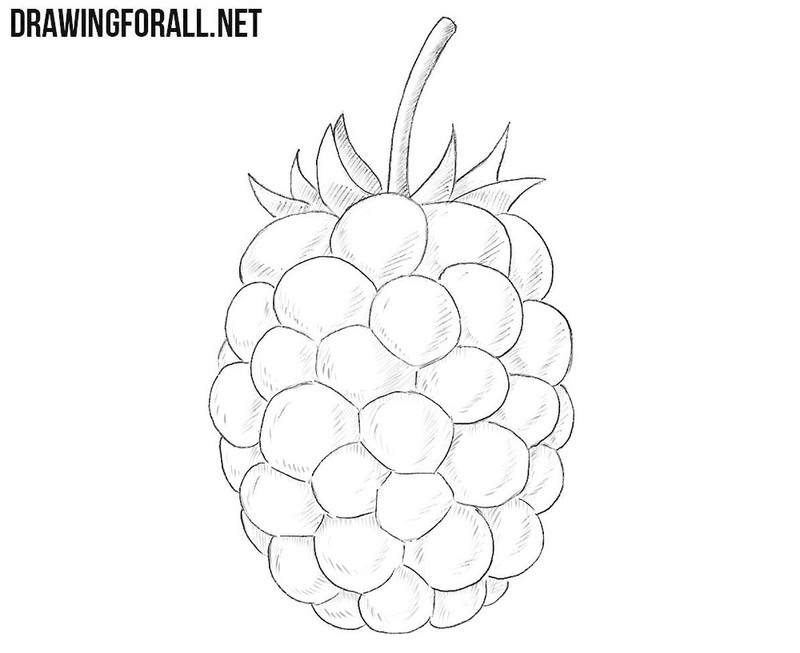 That is why we have prepared you a drawing tutorial about how to draw a Blackberry step by step. First, draw the blackberries outlines as an asymmetrical round shape with a slightly pointed lower edge. It looks like a cross between a fir cone and an acorn. We hope that in the last step we will have something more appetizing than both of these things. In this step, we will draw a stem and several pointed leaves around the cutting. You can choose the number of leaves to your taste. Do not paint it too large. As you can see, our simple sketch slowly starts to look like a drawing of a blueberry. 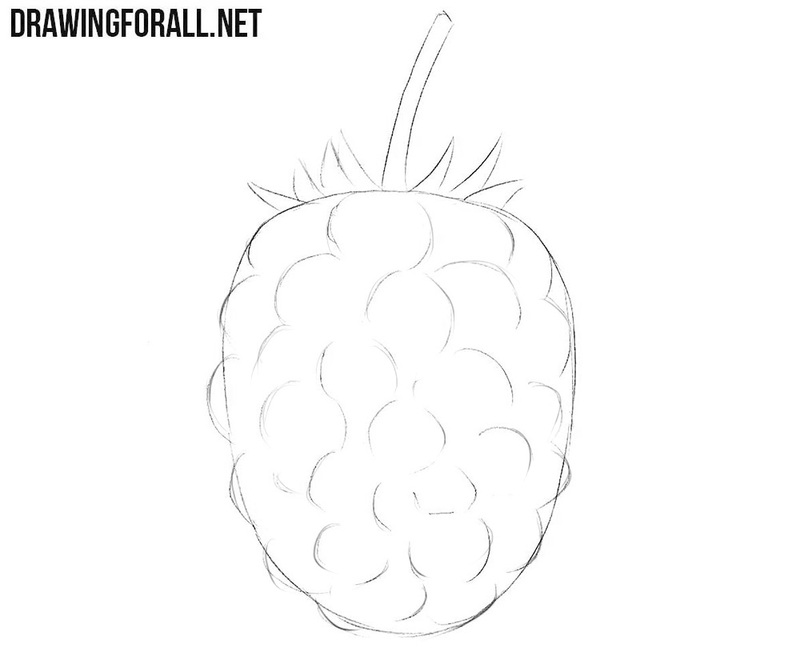 In the third step we will sketch the contours of the pulp of our berry. Blackberry tenderness is formed by rounded drupes. 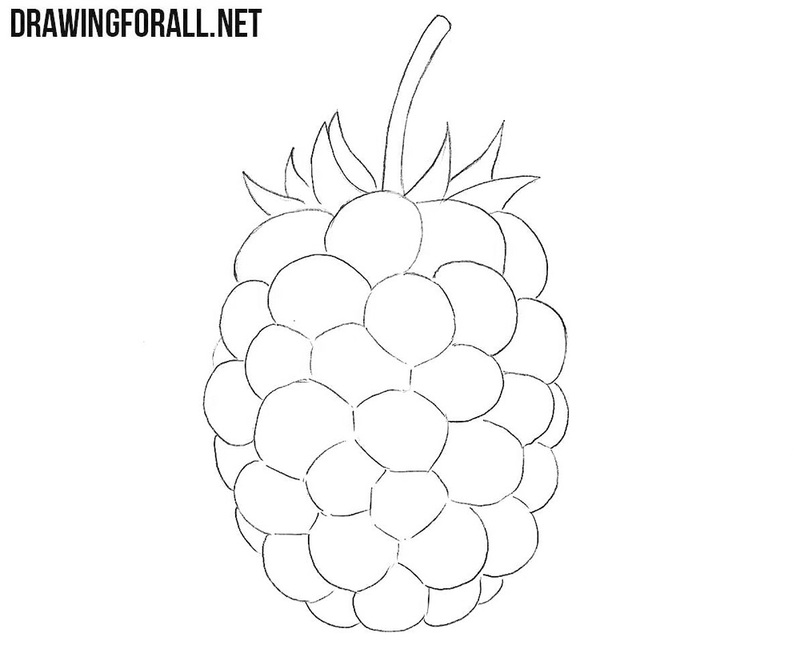 To make our berry drawing look realistic, we should draw the contours of these stone farms in random order. Do not overdo it with the darkness of the lines, in the future we will have to correct and supplement the drawing. We put light shadows on our berry. Light sweeping single-line hatching should be located on each drupe. If to consider that light falls from above, then the shadow has to fall on each segment of blackberry from the lower part. 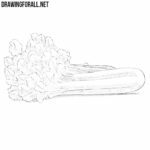 In the same way you need to draw the shadows on the stem and sepals, as it can be seen from our drawing. 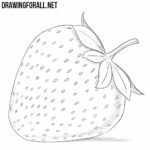 If you were able to learn how to draw a blackberry as well as the artists of Drawingforall.net, then our efforts were not in vain. 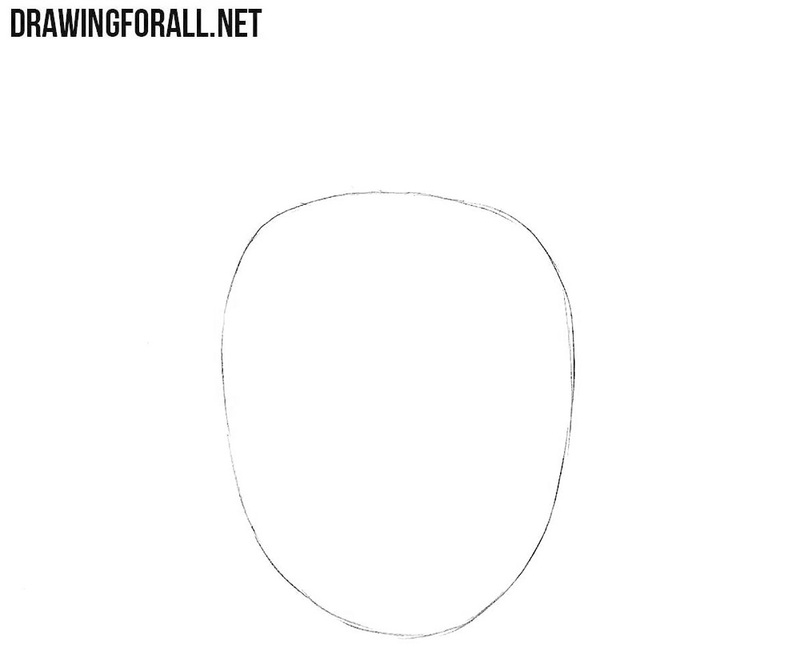 The biggest difficulty in this guide is to apply the shadows correctly. There are a lot of them in this lesson and they should be located in the right places to create a realistic effect. Blackberries are a really tasty thing. 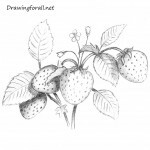 We have already drawn some more attractive and fragrant berries. 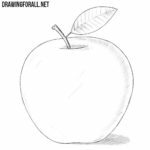 By the way, we want to remind once again that we are constantly creating a lot of content not only on the pages of Drawingforall.net, but also on the pages of our social networks. 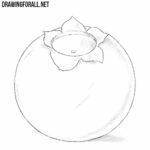 There you will find shortened versions of our guides, announcements of future lessons and various drawings and arts that we publish only in our social networks. 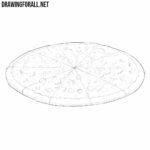 Visit our website every day and you will see our newest and freshest drawing lessons!